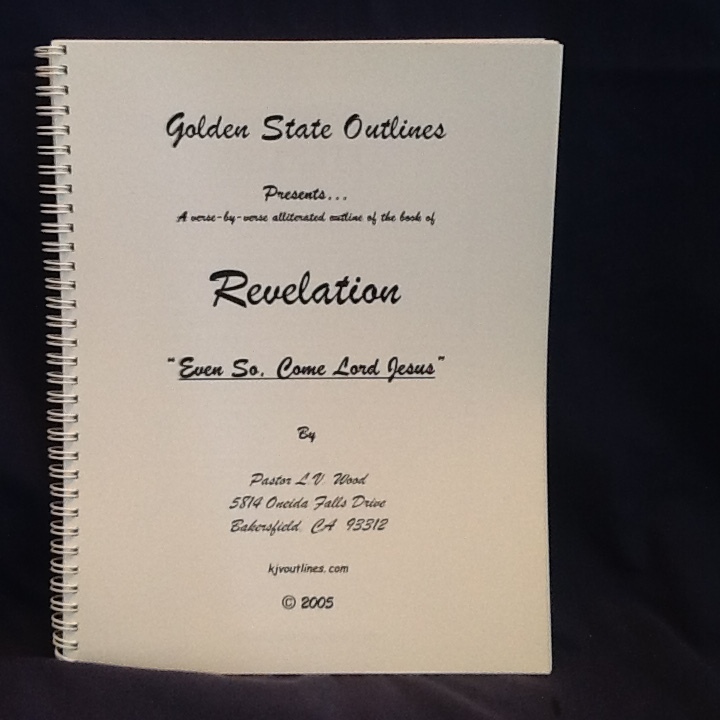 Golden State Outlines was started in 1980 by Pastor L. V. Wood as a way to provide Bible outlines to help the busy pastor to have a Biblicaly sound outline source upon which to build his own sermons. These outlines are meant only to help you save time in developing a full outline for your text. They will not take the place of your own prayer and study. I pray they will be a skeleton for the meat of your added research and personal experiences. Every verse is completely alliterated and exegetical outlined, following faithfully the English (KJV) text. May they be a help for busy speakers to help prepare sound Biblical messages for today’s times. God bless you as you preach His matchless Word. 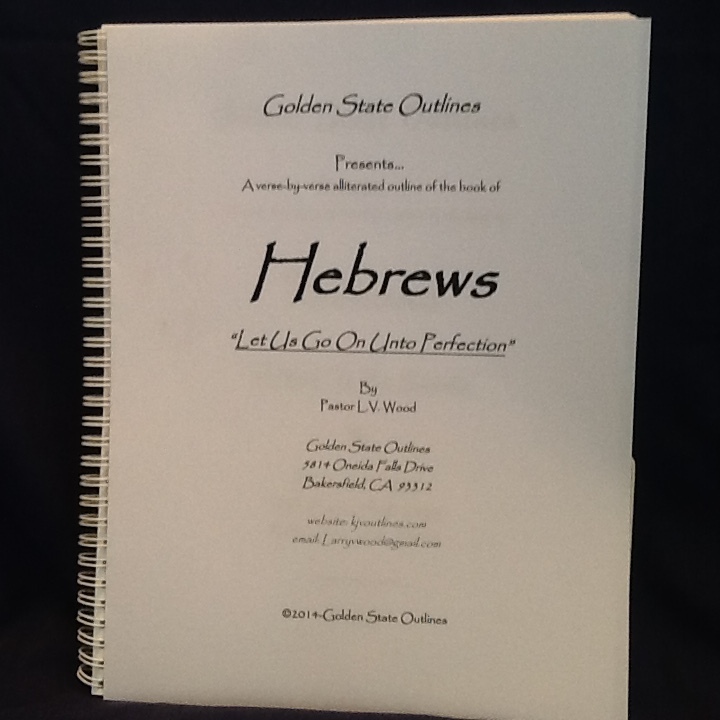 These outlines are offered to all Pastors & teachers who wants to teach and preach the Word of God to this generation. Pastor Wood has been a Baptist Pastor for nearly 46 years. He has used these outlines to teach the Bible to Sunday School Classes or Small Groups everywhere. 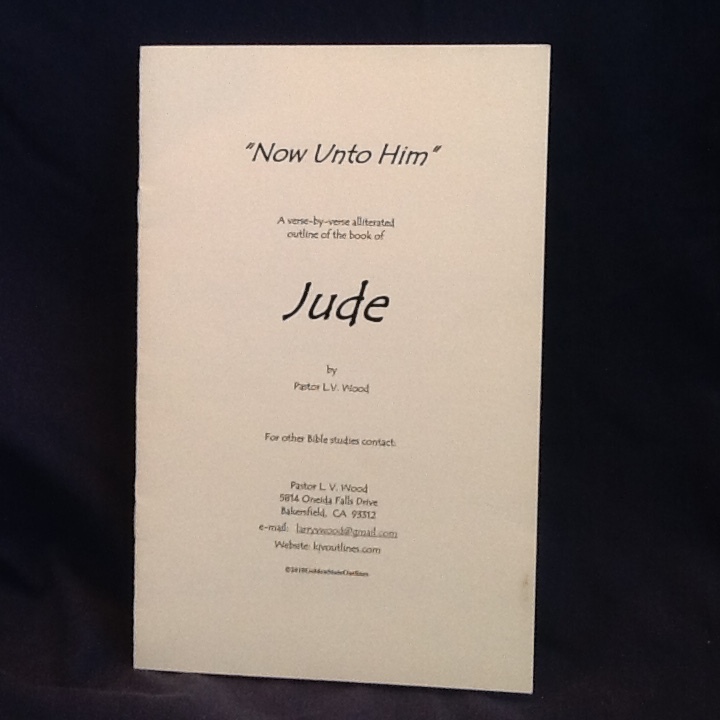 He, personally, has used the outlines to good effect, in many churches throughout the United States. Presently Pastor Wood teaches two classes each Sunday of approximately 80 students in each class. He believes in the King James Bible and uses it exclusively from the pulpit and in the classrooms. He believes that the KJV is the Monarch of Bibles. 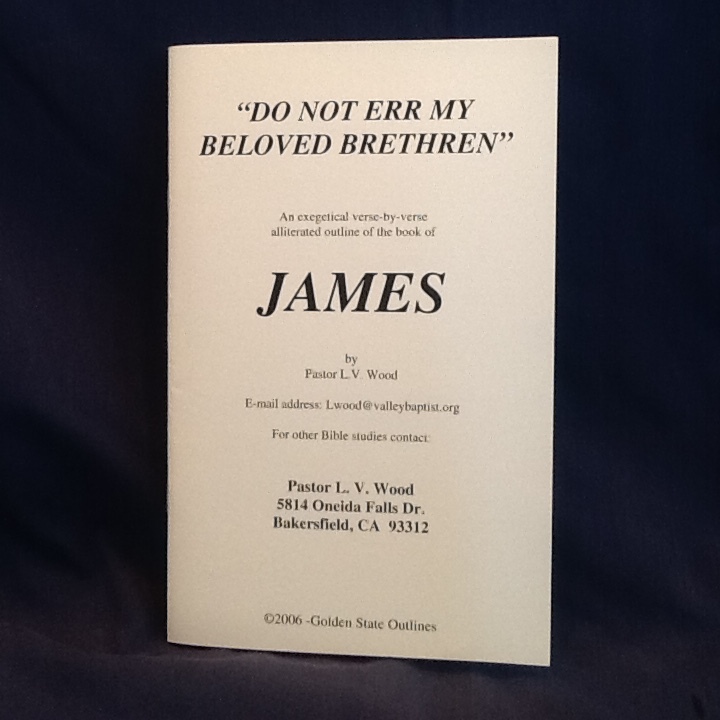 Every order is shipped postage paid by Pastor Wood. The price you see is the price you pay. God bless you as you preach the Word of God in your city. If you choose to pay by check or money order do this: Just write the name of the books you desire. Then add up the final price and send your check. REMEMBER: Make your check out to L.V. Wood. All prices are shipped postage paid.